GENERAL COUNSEL SERVICES – Allen McDonald Swartz LLP. 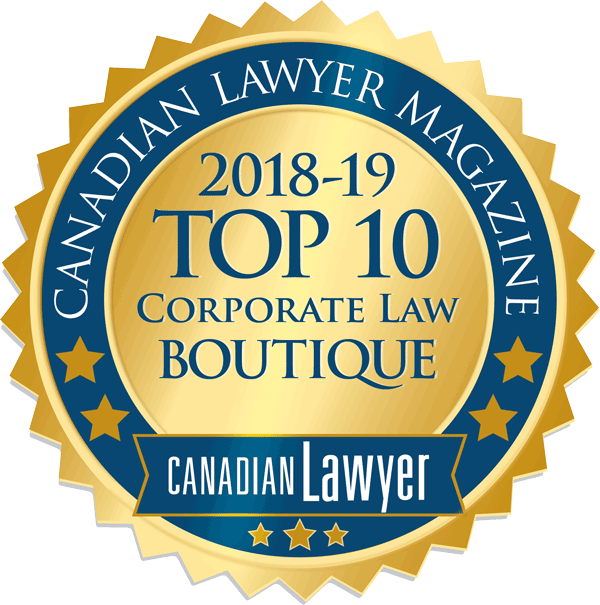 We recognize that there are many companies that could benefit from the expertise, experience and attention of a senior business lawyer, but they do not have an internal or cost-efficient legal resource at their disposal. We act as outside general counsel to companies – large and small – and provide a broad range of business law advice across a wide range of industries. We take the time to understand our clients’ businesses and the industries in which they operate so that we are able to provide our clients with practical, results-driven advice. By closely collaborating with our clients and their other professional advisors, we are able to develop tailored legal solutions that assist our clients to meet their goals and business objectives. Since our team is comprised of lawyers who have worked at top-tier Bay Street firms and as in-house counsel, we focus on providing big-firm quality and sophistication with the personalized attention of a boutique law firm. By better understanding your business and your goals, we are able to deliver trusted and valued advice that is cost-effective, practical and business-oriented.